Welcome to Crafting The Word Of God! My name is Jesus Rolon and I have had the privilege of being a volunteer in my church’s children’s ministry for over ten years here in Southern California. Everything from Sunday School to AWANA to Vacation Bible School to activities in between. One of the reasons for writing this blog is to keep all my crafts together in one place with the hope that they will help and inspire you and your ministry. You can use and share any craft or idea that you find on this blog. All I ask is that you share where you got it from. Feel free to contact me with any questions, comments or if you just want to say hi. I also have a Spanish version of my website available, if you happen to speak Spanish. Really you are doing a great job.God bless you!!! Thank you very much for all your posts.Really very useful.I used your crafts in our Vacation Bible School in our Church(during May 2014). Keep uploading crafts.Downloading the templates and coloring it,make our works easier.Thanks a lot. May God bless all your efforts and your ministry!! Roopavathy, thank you for your kind words. 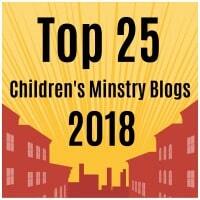 I’m glad my blog can be a blessing to your childrens ministry. Mr. Rolon, you are a blessing to me and to all the children in my Sunday School. They love your crafts and they learn so much. Thank you & may God bless you for all that you do. I just found this site. Thank you so much! My family and I will be using this a lot for our devotions. Im glad my little site will be a blessing during your family’s devotionals.